Gigantic Castle Combo Rentals | Renting a Large Castle Combo | The Inflatable Fun Co. This extreme combo is called the Gigantic Castle. The largest of all of our combo units. 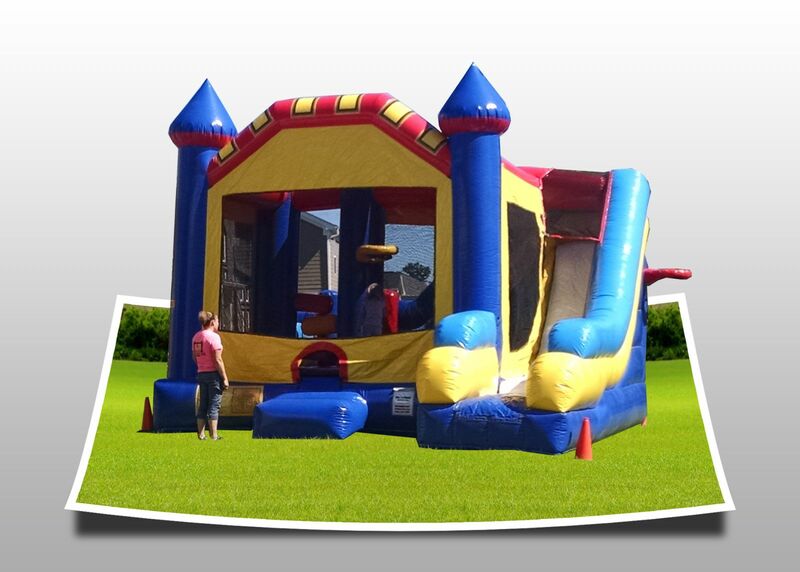 Large bounce area, basketball hoop, obstacles and a great slide. Our super premium best value.